Most orders are drop-shipped from a warehouse without documentation - no invoice is included in the package. Occasionally items are sold out or not in stock due to manufacturers' delay. If an item is back-ordered or sold out, you will be notified by email. Once you place your order, you will receive an emailed purchase confirmation. We will send another email with the carrier's tracking number after the order is shipped. 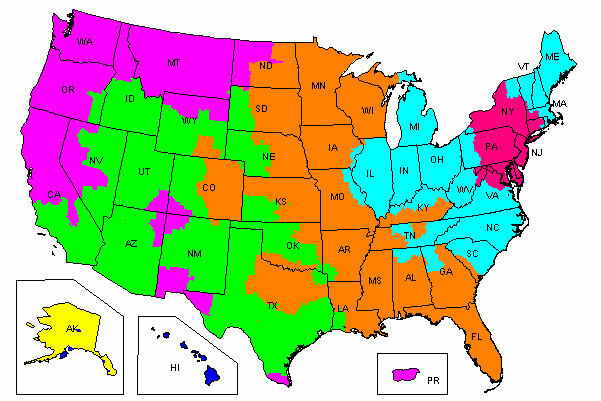 We usually use USPS for ground shippin within the lower 48 states. For heavier items over 3 lbs., we use UPS or FedEx. We use FedEx for expedited orders. If you have chosen ground delivery as your shipping method, you should receive your within 1-5 business days depending on where you live. Federal Express 2nd day air will be received on the second business day. For example, if you place your order before 1 pm on Thursday, the order will ship that day and will be delivered Monday. If placed after 1 pm on Thursday, the order will be shipped on Friday and be delivered on Tuesday. We also offer FedEx Express Saver (3 day), Federal Express Standard (3:00 pm), and Priority (10:30 am) Overnight Services. Federal Express cannot ship to US PO Boxes. Saddles or oversized items are subject to an additional handling fee of $10. We ship via US Postal Service Priority Mail International which has a 6-10 day estimated delivery time and Express Mail International is 3-5 days after the order has been processed. Both offer insurance. Duties, brokerage fees, and taxes for shipments delivered outside the continental US are the responsibility of the customer. Orders must be paid in US Funds by international money order or credit card. Unless you request that someone sign for the package, the carrier will leave the package at the delivery address. It is your responsibility to provide a safe, physical address or to ensure that someone is available to sign for and retrieve the package. The Lexington Horse cannot be responsible for any lost, stolen, or destroyed packages which have been marked as "delivered" when tracked via the delivery tracking reference number. Any undeliverable packages will be reshipped at the standard shipping rate. If the package cannot be reshipped, a $15.00 restocking fee plus shipping fees will be deducted from the refund. If you have not received your order within 10 business days from the day it was shipped, please contact info@lexingtonhorse.com or call 1-866-898-4311. If the claim is not filed within 10 days, the carrier will assume no responsibility. Thank you for shopping at The Lexington Horse!